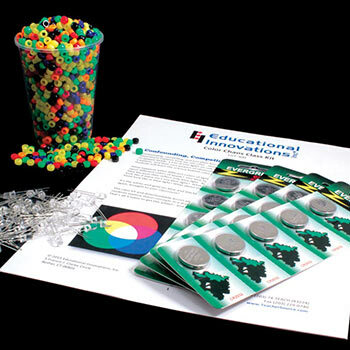 Let It Glow Kit, Science Fair Ideas: Educational Innovations, Inc.
Students are often intrigued by the idea that different colors of light possess different amount of energy. This fascinating, hands-on lesson will "shine a light" on the concept in a way your students won't forget! 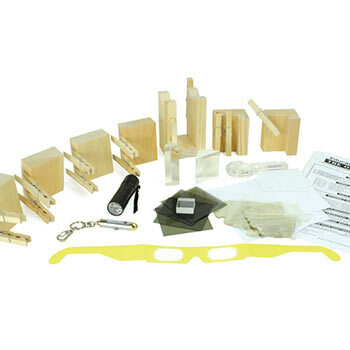 A do-it-yourself tabletop version of one of the most famous physics experiments of all time - the photoelectric effect. 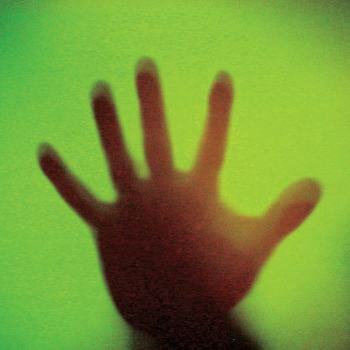 Using a red laser pointer and an array of colored gel filters, your students will discover which colors of light are able to "charge up" a phosphorescent square. 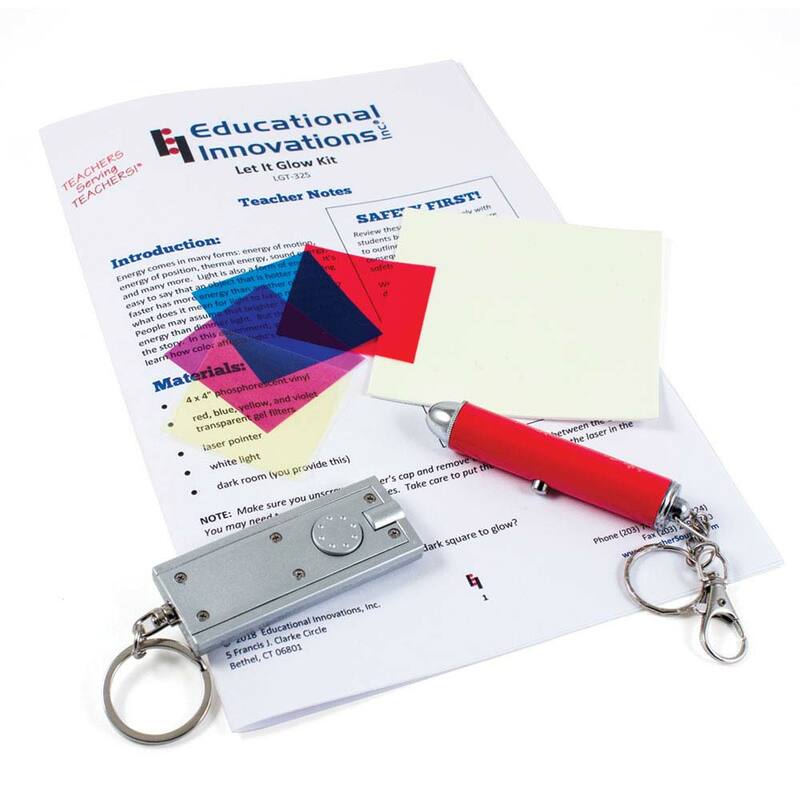 Kit includes a 3" x 3" phosphorescent vinyl square, red laser pointer, a flashlight, four transparent gel filters in red, blue, yellow, and violet, and a lesson plan with student handouts. 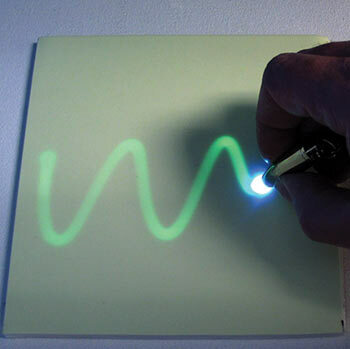 Great idea for a demo to introduce the photo electric effect!